This quaint, traditional style cabinet table will make a lovely place to set a lamp and sit next to your living room sofa. 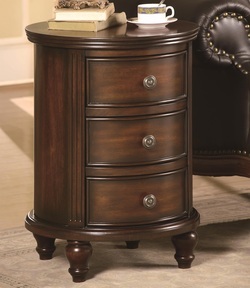 The accent cabinet is designed in a round shape and features three drawers perfect for living room storage. 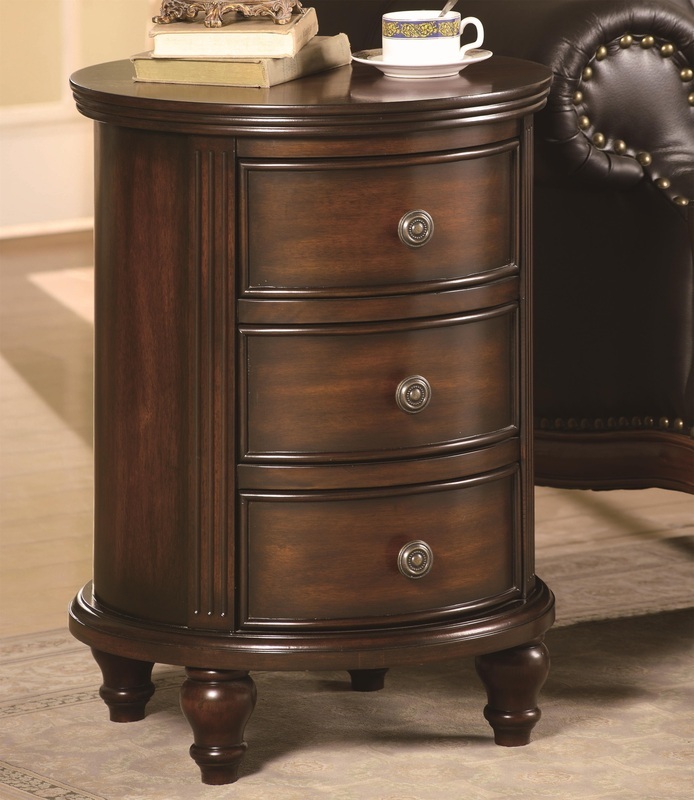 It will make your living room feel elegant and polished with its traditional style turned ball feet, medium brown finish, and antique rosette knobs.